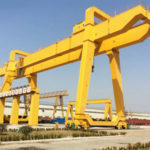 U-type double girder gantry crane is a sort of heavy duty lifting equipment distinguished by the fact that it has larger space between legs than A-frame gantry crane, which enables it to lift and move large-sized goods like containers. The name, as you might have guessed, comes from the U-shape of side profile. The U-frame gantry crane is widely applied in open freight yards, railroad terminals, shipyards and ports, and the work duty is A5, A6. The U-type gantry crane is capable of handling 5 tons to over 200 tons weight, and the span is typically in a range of 18 to 35m. This type of gantry crane is mainly composed of gantry frame, hoist trolley, crane travelling mechanism and electrical control system. The gantry frame consists of the main beams, support legs, end carriages, cabin and walkways. Due to the increased space between the legs, this crane is ideal for the handling of large items. 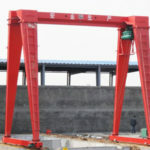 Compared with A-frame crane, it doesn’t require any saddle frame to be built with the crane, which will effectively reduce the height of the entire machine given the same lifting height. 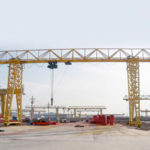 Additionally, the u-type double girder gantry crane can be outreached at one side or both sides to form cantilevers, making it convenient to load and unload materials at the end of cantilever without affecting the normal operation within the span. Hoist trolley is the unit to raise and lower loads as well as run along the main beams. According to the type of load being lifted, the crane will be fitted with different lifting attachments, such as hook and spreader. 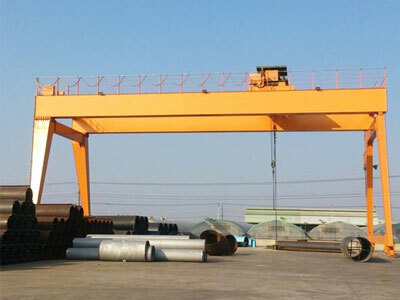 This form of double girder gantry crane runs along a fixed rail system. It has large load capacity, low running resistance, and can be driven by electric power. 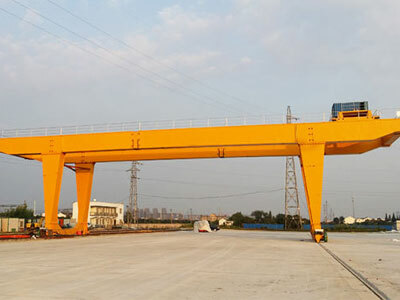 However, due to the fixed travelling path, the working area is limited compared with a mobile gantry crane. With regard to power requirements, the double beam gantry crane can be powered by cable reel, diesel generator set or bare copper wire. We offer both standard and custom solutions to our clients to make sure they end up with the most economical and productive crane. For more details, contact us today! A Frame or U-shaped Crane, Which Is Right for You? 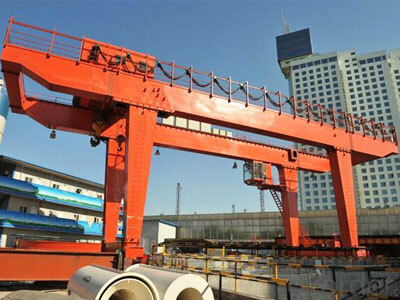 In the selection of a double girder gantry crane, there are a number of things you need to take into account, including the type and weight of the load, work duty, environmental conditions and safety precautions. The basic A-frame gantry crane can be adapted to almost all sorts of applications. It is an efficient tool for handling small to heavy loads. 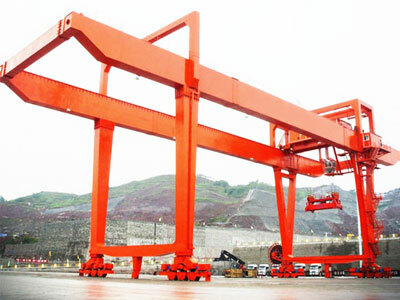 Whereas U-shaped gantry crane is specifically engineered to lift and move large cargoes. 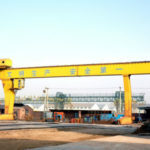 To determine the right type of crane for your business, discuss your gantry crane specifications with our experts online! 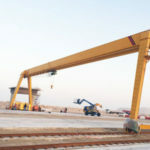 We are responsible for the whole order process encompassing the gantry crane design, fabrication, delivery, installation, commissioning and maintenance. We have over 10 years of experience in the overhead and gantry carne industry so that you can benefit a lot from our project management experience. 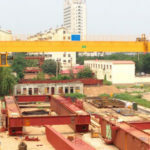 We are capable of customizing your crane to meet your unique requirements. 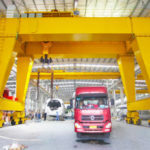 We offer a variety of lifting equipment ranging from overhead crane, gantry crane to jib crane and hoist for your wide range of applications. With our excellent technical team, we can solve any lifting problem you have and provide on-site support. 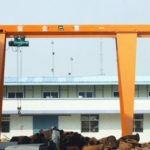 Looking for reliable u-type double girder gantry crane supplier? contact Dafang group now!